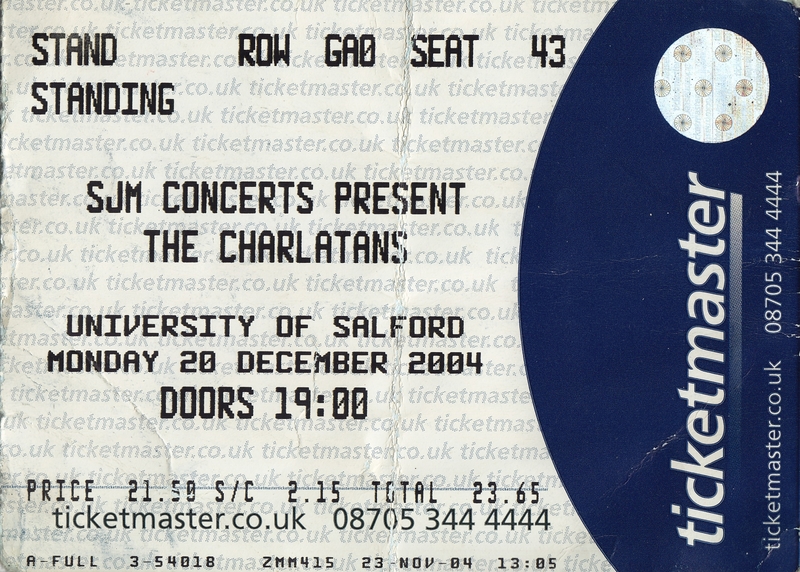 The main memory I have of this gig is Tim Burgess wearing his glasses the whole way through the set. I remember thinking 'just take them off!! I wanna see your face!!'. It was a cold, wintery December night and it was a Monday. Me and my ex made the decision to drink, regardless of work the next day. We met a very charismatic, long haired gent wearing a top hat and I think we annoyed him by constantly ribbing him. The gig itself was an truly magical experience as I'd only lived in Manchester for 2 years at that point and I was blown away by Tim's attitude and just plain coolness. I'm still in Manchester and I'm still head over heels with the music scene.